In California there are three ways to end a marriage. A. Nullity takes the position the marriage never took place. There are certain conditions which a party may use to end the marriage. Force (kidnapping a spouse and taking away the ability to enter into marriage contract voluntarily) Physical incapacity ( medical condition which does not allow one party to enter into a marriage. For example coma or no known way to communicate. 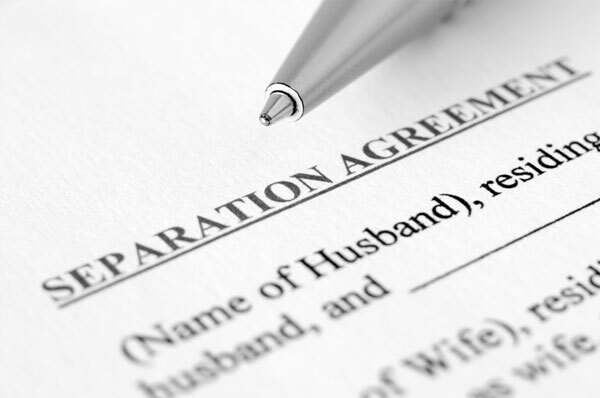 Simply moving out of the house is NOT a Legal Separation. You are still married. At most you can call it being "estranged." This means that until a Petition for a judgment of Legal Separation is filed in the Superior Court the judge has now jurisdiction (power) to make any orders for things like child custody; child support; spousal support; payment of bills or any of the issues which exist in your marriage. The biggest difference between a Legal Separation and a Divorce is the effect once the Judgment is issued. In a Legal Separation the marriage is truly not terminated. One party can remain on the health insurance of the other. The parties can continue to file joint tax returns. Neither party is free to remarry. The court will not grant a request for a name change. Simply stated a Legal Separation is akin to a Divorce for Catholics. If after a period of time one spouse wants to end the status of Legal Separation into a full divorce a whole new case needs to be filed in court. There will be a six month waiting period before the divorce judgment will be effective. However, any Marital Settlement Agreement entered into by the parties in the Legal Separation will be used in the divorce process as well. A divorce ends any legal connection between spouses. Neither can claim any interest in property accumulated after the judgment becomes final. Either party is free to remarry. They can no longer be covered on the health insurance of the other or file joint tax returns. The Marital Settlement Agreement in a divorce is similar to the one created in a Legal Separation. It covers all of the issues which need to be resolved for each specific case. So long as there is no fraud or lying about assets or debts accumulated during the marriage the judgment will be valid and enforceable. So long as each party can get affordable health insurance on their own there are few reasons to put off a full divorce.